Once again, I find myself doing what I have done far, far too many times before — I have financially and emotionally committed myself to a cause in the name of love. I have a thing for Ernst Ludwig Kirchner, and it’s more or less his fault that I’ve shelled-out $500+ for a 10-week crash reading knowledge course in German. Sure, the North Rhine city of Recklinghausen is my namesake, and sure German it’s a requisite language for art historians, particularly ones who intend to have careers in the New York museum world. But if I hadn’t developed a fascination with Kirchner’s Die Brucke buddies, their prints, and the little-known Leipzig Expressionists, or if I hadn’t come home from Germany with 5 catalogs in its national tongue, I would have gladly put off learning the language til I was happily settled in a PhD program. If you looked at my high school and college transcripts, or traveled with me abroad, you would think I have a knack for languages. For some reason, I’m the designated “communicator” whenever I travel. I must have a look of recognition or understanding on my face, because people always assume I know what they’re saying and expect me to parlay it to my companions. My Korean fencing coach thinks I’m secretly Korean. In high school, I thought it wise to learn Latin in addition to French. My school offered an accelerated Latin course — 3.5 years crammed into 2. Somehow, I managed to learn my declensions well enough to nail a perfect score on the International Latin Exam. I received a nice letter (in Latin), 2 gilded certificates, a gold-medal, and a Latin Dictionary. When my Latin teacher proudly handed me the Fedex package containing all these goodies (she got a medal too), I thought I was destined to work at Pompeii… or in a church. Learning a foreign language when you’re older and not a full time student is hard. If you’re in school everyday from sun-up to sun-down, and have quizzes every Friday, it’s easy to compel yourself to memorize verb conjugations. When I started taking French in junior high, vocabulary built slowly and we spent months learning how to talk out of our noses and roll our r’s while we built a middling-size repertoire of colloquialisms. What I learned in 3 years of French class, I learned in 4 hours at NYU’s Deutsches Haus. Gott helfe mir. Man ist was man isst. 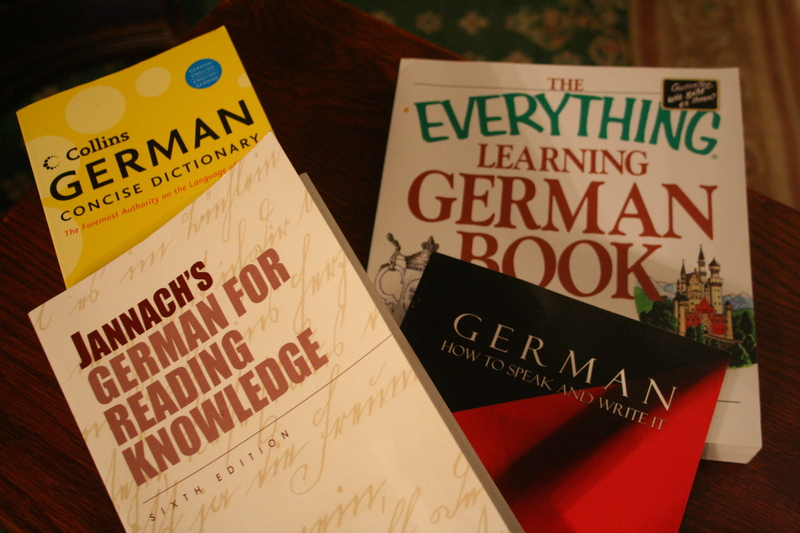 You are what you eat, and right now I’m eating up lots of German. I am 6 weeks into my class and up to my eye balls in translations. I can’t say “good morning” or “how are you?…I’m okay,” so don’t try to have a conversation with me. If we’re lost in Bavaria, I can’t ask for directions. But hand me a newspaper and I’ll give you a pretty good summary of all the news that’s fit to print.We all have our uses. As I stare at the stack of translations due this Wednesday, I can’t help but ask myself: Wie gut war Kirchner?